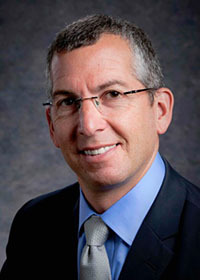 Danny Shapiro is NVIDIA’s Senior Director of Automotive, Danny Shapiro focuses on solutions that enable faster and better design of automobiles, as well as in-vehicle solutions for infotainment, navigation and driver assistance. He is a 25-year veteran of the computer graphics and semiconductor industries and has been with NVIDIA since 2009. NVIDIA Corporation is an American global technology company based in Santa Clara, California. NVIDIA manufactures graphics processing units (GPUs) and has a significant stake in the manufacture of SOCs (system-on-a-chip units) for the mobile computing market. NVIDIA also is a player in the gaming industry, with its handheld NVIDIA Shield, as well as the tablet market with the Tegra Note 7. NVIDIA also provides parallel processing capabilities to researchers that allow them to efficiently run high-performance applications on supercomputing sites around the world. More recently, NVIDIA has moved into the mobile computing market, where it produces Tegra mobile processors for smartphones and tablets, as well as vehicle infotainment systems. NVIDIA’s Tegra Visual Computing Module, with the first “mobile superchip,” powers the Tesla Model S’s 17-inch touchscreen; a second one drives the Tesla’s all-digital instrument cluster, with its high-resolution, 12.3-inch LCD display and advanced 3D graphics that can be personalized based on each driver’s preferences. Since forming its automotive business unit in 2004, NVIDIA has shipped processors for or won future designs in more than 20 brands of vehicles across 100-plus models. Prior to joining NVIDIA, Mr. Shapiro served in marketing, business development and engineering roles at ATI, 3Dlabs, Silicon Graphics and Digital Equipment. Danny holds a Bachelor’s degree in Electrical Engineering and Computer Science from Princeton University and an MBA from the Hass School of Business at the University of California Berkeley. He lives in Northern California, where his home solar panel system charges his electric car.